We are delighted to announce the acquisition of two additional machines to expand our induction hardening capability. 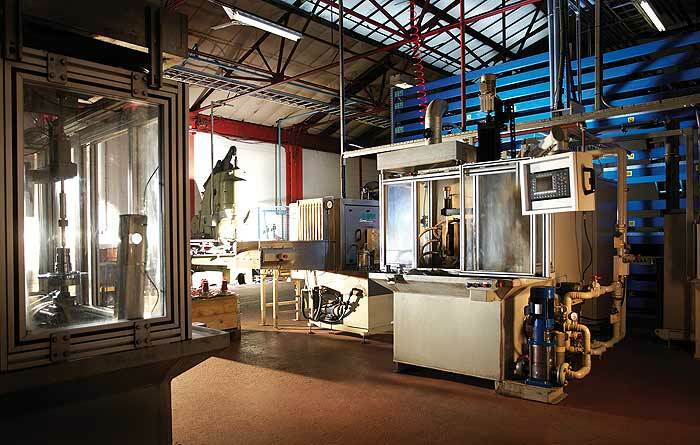 The equipment which was manufactured in Germany during 2006 has been installed and commissioned in our Meltham facility. The machines were purchased from a major customer who had utilised the equipment to process shafts for the European automotive industry. The equipment which can utilise both scanning and single shot processing adds significantly to our expanding induction hardening capability. The first machine has a 300kW power supply operating at a frequency of 7 to 10 kHz. The second machine has a 500kW power supply and also operates at a frequency of 7 to 10 kHz. The equipment is ideally suited to process gears and shafts and we would be delighted to talk to you about any requirements you may have. For an initial discussion please call 01484 850361 and ask for Customer Support or Technical Department.